Carpet floor covering is a major investment in your home or business and regular, professional cleaning should be carried out to keep it looking new and smelling fresh. Just like regular clothing washing keeps them fresh and hygienic it is also recommended to carry out periodic carpet cleaning in turn preventing germs and dirt building up. Carpets can advance their ageing process if they’re not properly maintained and become a dirt trap. Replacing a carpet after an accident, spillage or due to hard to remove soiling is an expensive and inconvenient option. Our professional carpet cleaning team is always on-call as more and more homes and businesses want to clean and freshen up their carpets, at a reasonable price, whilst keeping them looking in tip, top condition. 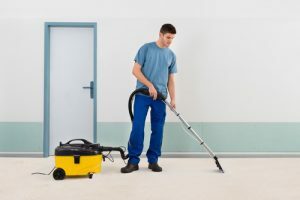 With the very latest equipment and experienced operators Office Maids help rejuvenate your home or business carpets with minimum disruption and down time. Giving carpets a new lease of life wherever possible; we can even apply conditioner, fragrance and protect them against future spills and stains. As with most fabrics carpets need regular care and maintenance, especially in high traffic zones such as stairs, landings or receptions. Often regular vacuuming alone does not get rid of the dirt that can make carpets look dull, lifeless, and unhygienic and even give off odours. .
Stains, spillages and ground in dirt easily occurs from children, pets, parties, DIY, tenants and just day-to-day living. These can be hard to remove and most ‘DIY’ stain removers can leave carpets sticky with patchy discolouration, just adding to the problem. Office Maid’s carpet cleaning team will pre-treat and expertly remove any stains and marks in most instances. We do not attempt to remove stains with harsh or highly corrosive stain removers which can permanently damage a carpet by advancing its aging process or leave chemical residue and an unpleasant smell for days or even weeks to come. We only use the most advanced, environmentally friendly, cleaning products which leave very little residue on carpet fibres in turn preventing dirt attraction and making future dirt more easily lifted. Your home or work-place will feel and smell healthier as clean carpets improve indoor air quality reducing the risk of asthma, dust mites and other allergy related ailments.